The Lambert family haunting continues in Insidious: Chapter 2, once again coming from the team behind the Saw franchise, director James Wan and writer Leigh Whannell. 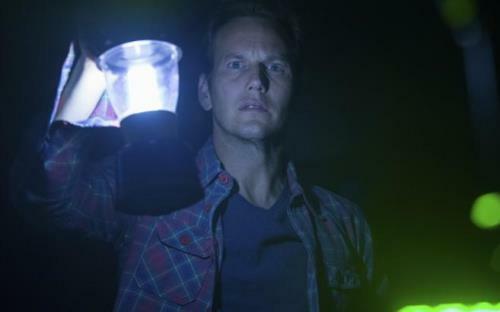 In the second movie in this horror franchise, Patrick Wilson (Young Adult) and Rose Byrne (X-Men: First Class) are still getting visits from beyond. So they dig deep in their family history to uncover the mysterious childhood secret that has left them connected with the spirit world. Barbara Hershey (Black Swan), Lin Shaye (Take Me Home) and young Ty Simpkins (Iron Man 3) also reprise their roles for the film. Although the original got high praise from critics and moviegoers alike, Insidious: Chapter 2 got much less love. Village Voice critic Nick Schager called it “unintentionally hilarious.” Not good for a straight horror film. The R-rated movie still grossed a tidy $83 million at the box office, though. downloadable digital copy via UltraViolet. “Insidious: Spectral Sightings” three-part webisodes, with Specs (Whannell) and Tucker (Angus Sampson, TV’s Spirited) finding an unexpected ally in their early days as paranormal investigators.